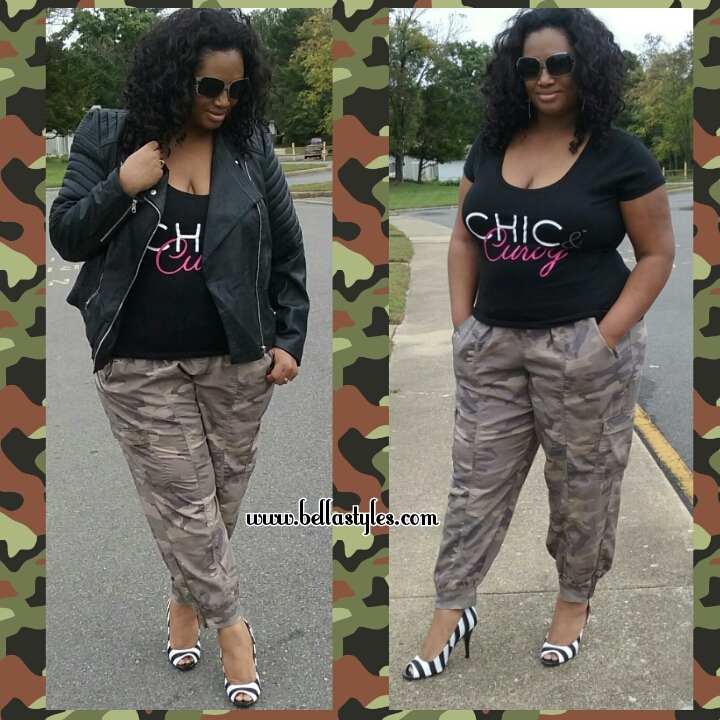 I went into my local Lane Bryant recently and fell in love with these camo joggers that were on the sale rack. I have been wanting to try the jogger trend for a while and the camo print was an added incentive. I paired up the joggers with a Chic and Curvy Boutique Tee ($32) and an Asos Leather Moto Jacket. To round out my look I added pair of striped pumps from Payless.